I found it hard to come up with something for this week’s prompt – hence the lateness (it’s technically last week’s prompt at this point). The prompt, as you may have gathered from the title of the post, was home. I’ll stop saying prompt now. I mused on this for a while, looking at other people’s submissions (houses, family, pets) and felt thoroughly uninspired. 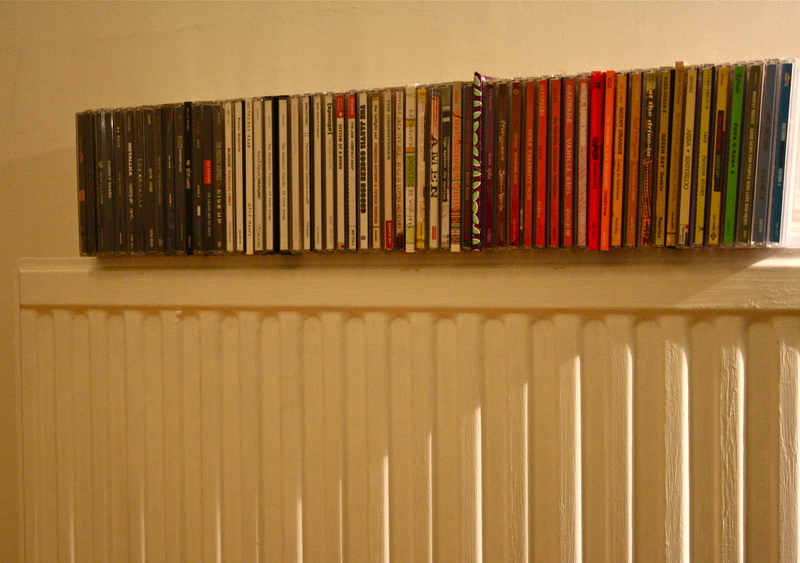 Then my other half put on a CD, and a thought occurred. Home is somewhere familiar and comforting – somewhere my brain recognises as safe. I feel this in a number of places, but I can actually create that sense of well being artificially wherever I am – through the power of love music. Certain songs make me feel at ease, because I associate them with places I feel at home. And that’s why I photographed a bunch of CDs that have travelled with me from home with my parents to university and three different flats in Edinburgh. Why on the radiator? Just because. 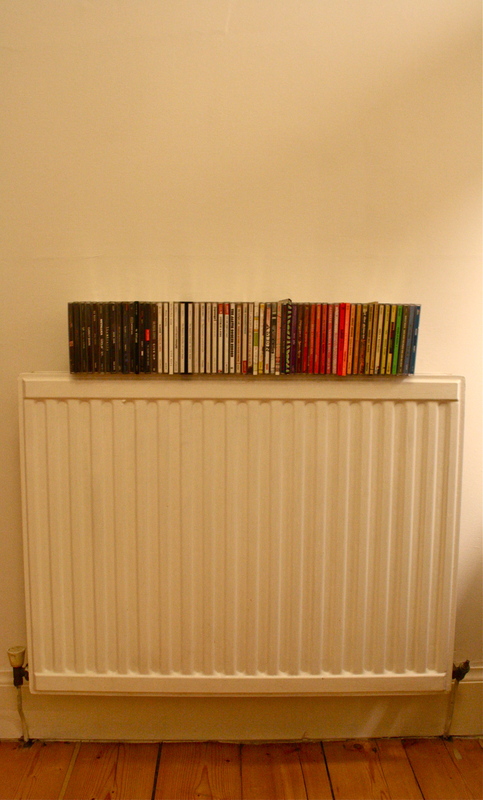 And the best thing about this is, now we can play the super fun game of name all those CDs! 12 books in 12 months what a great goal…are you on goodreads?